Many people feel they are experiencing some intolerance to foods (and for sure some people do) but some may be experiencing stress and when their body is in stressed mode it can create physical symptoms that do not feel the best. We will look at the teachings of the Desert Fathers for some wisdom to help with stress. In addition we will explore the program My Beautiful Lent (http://www.mybeautifullent.com) which is an online program being released this Great Lent (2016) to help decrease the stress that somehow appears during this time. 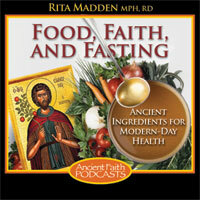 The program aids to simplify Great Lent to allow it to be a fruitful season.